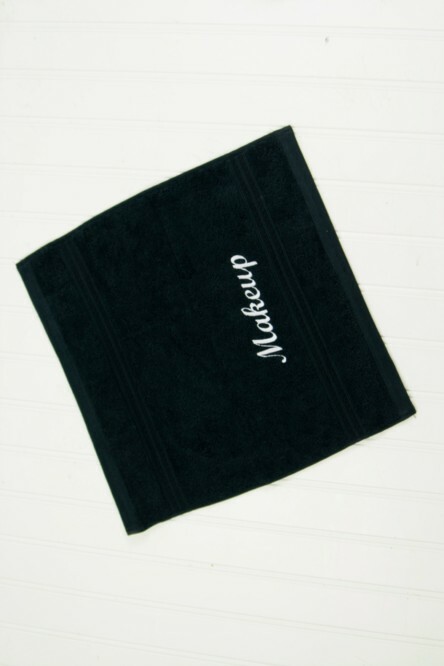 Our black makeup washcloths are perfect to remove makeup without ruining white towels. Order 10 or more to get wholesale pricing! Quantity discounts are built in to the prices in the drop down- the more you buy the more you save. 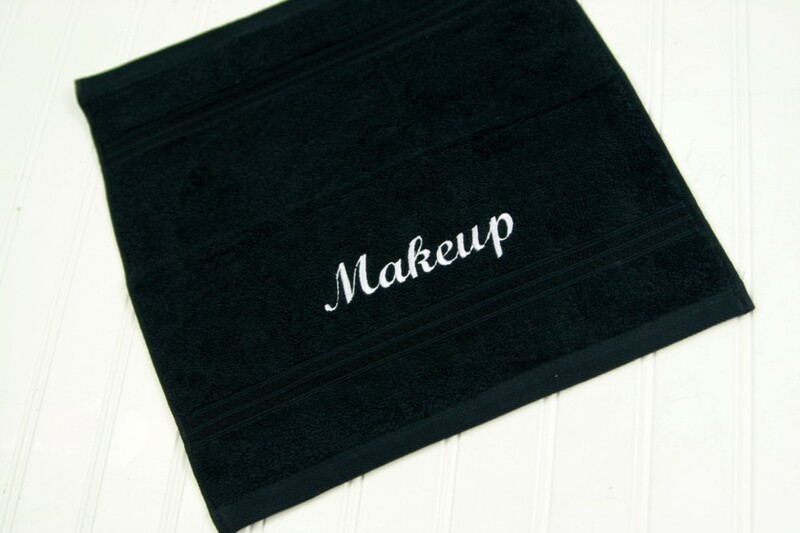 Our makeup remover towel in wholesale quantities is perfect for a hotel, rental beach house, or inn. 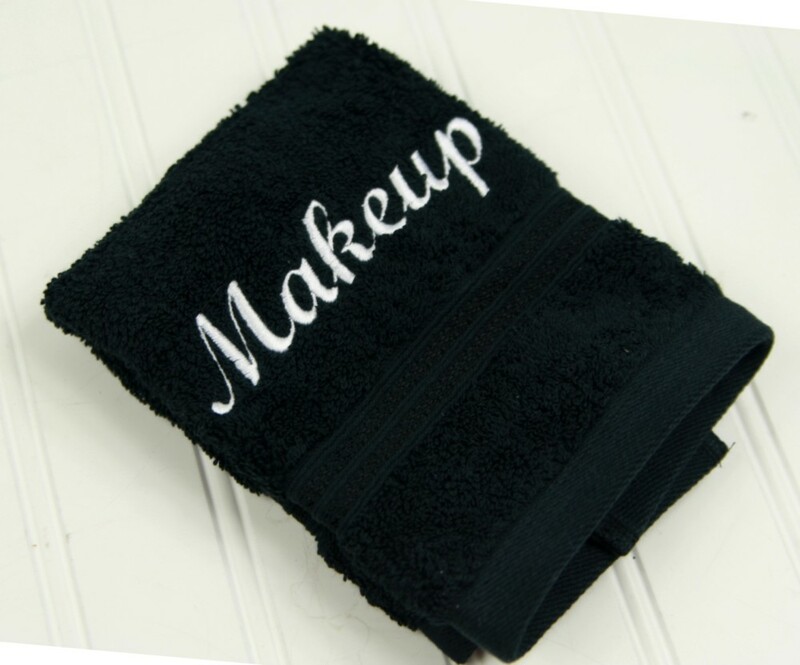 Anyone in hospitality is all too familiar with frequent replacement of white towels, often due to makeup. 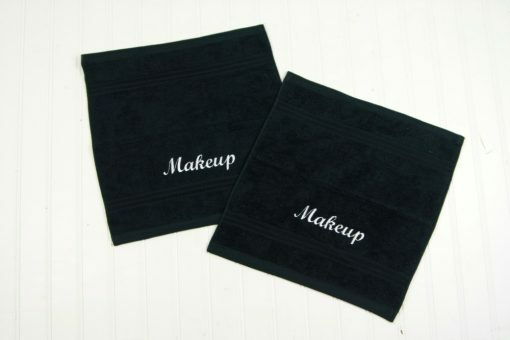 Add our makeup washcloths to each bathroom and a guest will immediately know to use it for their face, and the other towels will stay cleaner! The black terry cloth fabric goes great with any decor. Order in bulk quantities for large discounts. 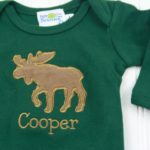 These are handmade to order in South Carolina, but there are shipping upgrades available to get in as soon as 5 days, up to 2 weeks, no matter the quantity! Our wholesale washcloths come packaged differently than those individually ordered. We typically assume you are using the washcloths rather than giving as gifts, and will therefore package them in sets of 10. If you prefer, just let me know and we can send them individually packaged for gifting!